When it comes to restaurants, the trends come and go. Asian fusion, organic everything, mango salsa, the restaurant business is a business of trends. 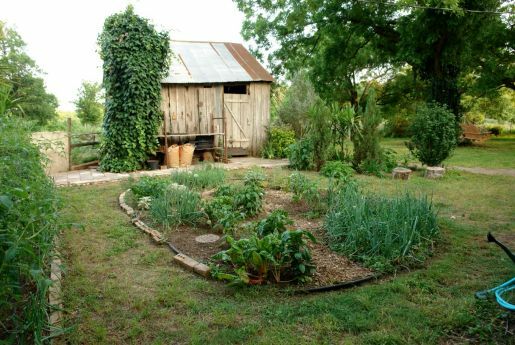 Trends come and trends go, but one trend that seems to be sticking around is the gardening trend. The top trend for 2010 in restaurants is growing food in-house. Would you love to eat food made with just-picked fruits and vegetables? I know I do! I’m lucky in that I live in one of the best food cities in the entire United States. When it comes to interesting food combinations, from the cheap to the pricey, it’s all good here in the Ville. We may not have the top 50 restaurants, but we’ve got a great food culture. Not only do we have restaurants that grow their own vegetables, we have multiple places that make their own meat. From multiple pizza places that make their own sausage to one restaurant, The Blind Pig, that raises its own pigs from birth to dinner. This is a delicious trend I can get behind. If I’m gonna pay for it, I want to eat good, not crap food. I can eat crap at McDonald’s and it’ll be cheaper.